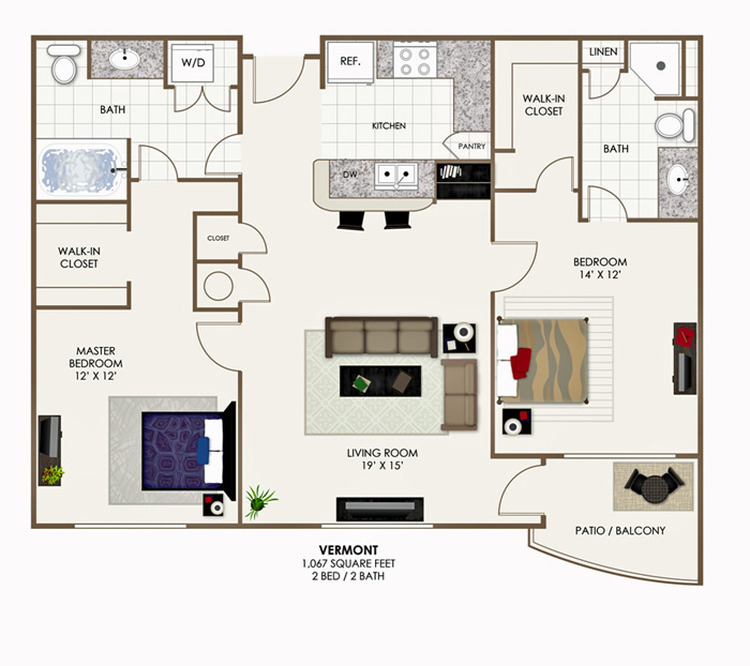 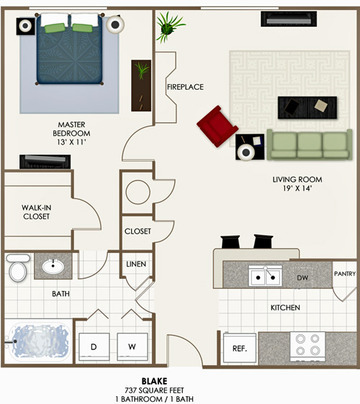 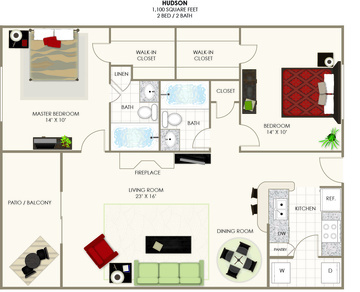 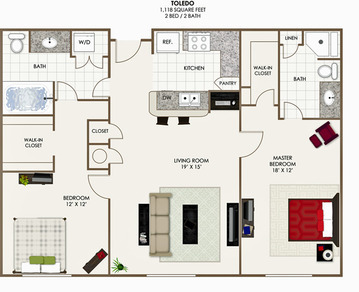 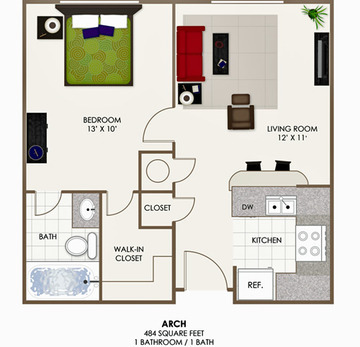 This roomy two bedroom floor plan has all of the creature comforts you desire! 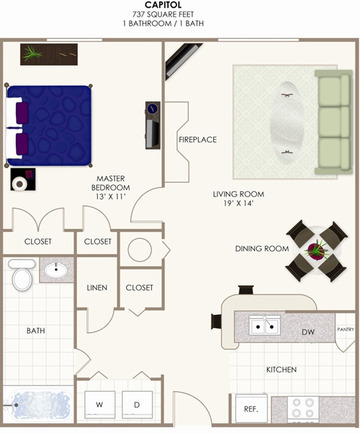 From the luxurious garden-style tub to the built-in computer desk designed to meet your professional needs, this is an apartment you\'ll be proud to call home! 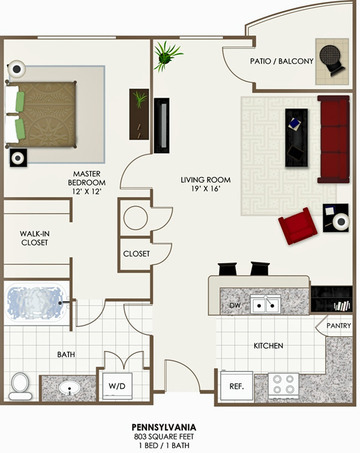 The spacious balcony overlooks a beautiful and serene landscaped courtyard, perfect to escape the hustle and bustle of downtown living.